Looking for a Williamsburg Campground? Look below for Williamsburg KOA deals! Here's my top picks for a Williamsburg campground for your family vacation getaway (they're close to Colonial Williamsburg, Jamestown, Yorktown, Busch Gardens Williamsburg, and WaterCountry USA too). When you're done looking for the perfect Williamsburg campground, scroll down for links to my "Secrets to a Cheap Colonial Williamsburg Vacation" (it shows you how to save money, enjoy the best attractions, and even find a free or cheap way to enjoy the sights) as well as reviews and insider tips (like how to get discount tickets) of Busch Gardens Williamsburg, Kings Dominion, Water Country USA, Great Wolf Lodge Williamsburg, and Jamestown. I'll also give you links to more information to make your day trip or family vacation getaway a success, including fabulous but cheap places to dine out in Williamsburg (I have two favorites which have great food but won't bite onto your wallet and hang on for dear life). One is an all-you-can-eat extravaganza and the other is a local favorite known for some of the best barbeque you'll ever taste), to the best attractions (like Yankee Candle) and how to see them for less. 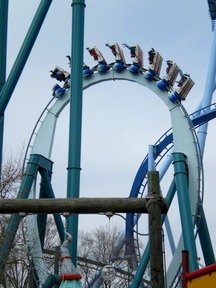 Pick a great campground near Busch Gardens, so you can enjoy rides like Alpengeist. Many consider this the TOP Williamsburg campground! They offer free WiFi, dozens of cable TV channels; heated pools (April through mid-October), discounts to local attractions like Busch Gardens, air-conditioned "Kamping Kabins®" (if you want to semi-rough it); a grocery store and gift shop; playgrounds and programs for the kiddies; game rooms; nature trails, and laundry facilities. Rates for tent sites start at $20 per night (for a tent with no hook up in winter) and go up to $90+ per night (for a two-room cabin during the height of the summer season). Father's Day Kids Camp Free - June 16-18 - Reserve your stay with Code "F". Call 1-800-562-1733. VKR Appreciation Weekend - 2nd weekend in Sept. - Value Kard Rewards members stay as a paying guest on Friday, at any participating KOA campground and get Saturday for free. Free Thursdays when you Stay Friday & Saturday Night - end of Sept.- end of Oct. Anniversary Weekend April 22-24 - Stay one night and get 40% off each consecutive night. Use Code CG. Fall Deluxe Cabin Special - Reserve your stay during the month of Sept. 7-Nov. 30 and you can get a deluxe cabin for just $25 per night. These cabins feature a private bedroom(s), a patio with a grill, and a fully-furnished kitchen, towels, and linens. Use Code CN. Call 1-800-563-1733. Go to www.williamsburgkoa.com for details. Williamsburg KOA address: 5210 Newman Road Williamsburg, VA 23188. Williamsburg KOA phone number: 1-800-562-1733. Williamsburg KOA website: www.williamsburgkoa.com. If you are a regular KOA campground user, consider getting a KOA Value Kard. For $30 a year, you'll get 10% off every time you camp at KOA, and you'll earn points you can redeem for KOA services. 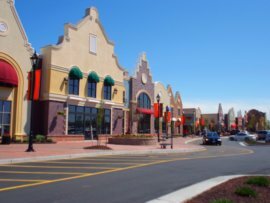 Plus you'll get discounts on thousands of retailers, restaurants, and attractions, such as Redbox rental discounts, buy-one-get-one-free or freebies at places like Papa Johns, Denny's, Aberdeen Barn, and Rita's, and BOGO admissions to local attractions. For details, go to KOA Value Rewards. The Ben Powell House at Colonial Williamsburg. This Williamsburg campground has 70 acres; nearly 100 sites with full hook-ups and 70 pull-throughs that are wide enough for slide-outs. The place has a pool, nature trail, a lending library, basketball, volleyball, and horseshoes, video/DVD rentals, a clubhouse and game room, laundry facilities, and a fenced place for run dogs. American Heritage RV Park address: 146 Maxton Lane, Williamsburg, VA 23188. American Heritage RV Park phone number: 757-566-2133. American Heritage RV Park website: www.americanheritagervpark.com. It bills itself as the only Williamsburg campground close to all major area attractions, and the only campground that has a shuttle stop from the Williamsburg Area Transport bus service (which connects visitors to Colonial Williamsburg, Busch Gardens Williamsburg, WaterCountry USA,Yorktown, and Jamestown. The Williamsburg campground has 72 sites on 3.5 acres, 50+ electric/water, 40 electric/water/sewer, and several drive-thrus. Amenities include rentals, ice, propane, a store, restrooms, showers, laundry, picnic areas, a dump station, and more. It's not as glitzy as Williamsburg KOA, but it's very close to two of our favorite cheap area restaurants:Pierce's Pitt BBQ and Peking Restaurant. Anvil Campground address: 5243 Mooretown Road Williamsburg, VA 23188. Anvil Campground phone number: 757-565-2300. Anvil Campground website: www.anvilcampground.com. Find some amazing bargains at the Williamsburg Pottery. Only minutes from the Williamsburg Pottery, this Williamsburg Campground features 550 open or wooded sites with full hook-ups, water, electricity, and a large swimming pool, laundry, and game room. For details, go to www.williamsburgcampark.com. Nestled beside the beautiful James River, minutes away from Colonial Williamsburg, the Jamestown Beach Campsites await you! The quiet sandy beach affords water recreation for the whole family. The facilities offer 600 wooded campsites, recreational facilities. Jamestown Beach Campsites address: 2217 Jamestown Rd, Williamsburg, VA. (It's adjacent to the Jamestown-Scotland Ferry Dock and Jamestown SettlementJamestown Beach Campsites phone number: (757) 229-7609ý. There is no Jamestown Beach Campsites website. Want a Williamsburg Campground near Kings Dominion? Planning a trip to Paramounts Kings Dominion? Click here for Paramounts Kings Dominion tips. And here's a campground near the park that comes highly recommended by the locals. Kings Dominion Campground Located in Doswell two minutes from Kings Dominion, this campground gets rave reviews for its cleanliness, friendly ataff, and convenient shuttle to and from the park. Amenities include Direct TV, free WiFi, a pool, playground, volleyball, min golf, game room and store, laundry room and bath houses. They offer basic tent sites, group fields or air conditioned cabins. Or, if you have an RV, they have a variety of sites with 30/50 amp service and water, and electric and sewer hookups. Kings Dominion season pass holders, active and retired military, and AAA, AARP and Good Sam members are eligible for 10% discounts. Kings Dominion Campground address: 10061 Kings Dominion Boulevard, Doswell 23047. Kings Dominion Campground Phone number: (800)9-CAMP10 or (804)876-5355. Kings Dominion Campground email: camp@kingsdominion.com. Want discount secrets for other area attractions? I want you to have a stellar and memorable family vacation getaway. That's why I'm constantly reviewing new Virginia vacation attractions, hotels, and restaurants, as well as roaming the web searching for the best travel deals, discount ticket secrets, and other ways to save you money on your Virginia family vacation getaway. If you're planning a visit to Williamsburg, be sure to read my pages on Williamsburg attractions, the best places to eat in Williamsburg, where to shop including Prime Outlets and The Pottery, and Williamburg hotel deals. And don't miss my guide for seeing Colonial Williamsburg on a dime. 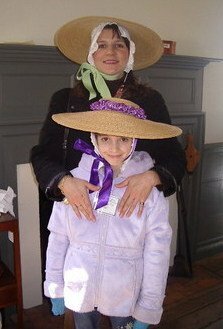 Click on the "Colonial Williamsburg" link on the navigation bar on the left. For reviews, insider tips, and discount ticket secrets for other attractions in Virginia, go to my Virginia Attractions page.